Do you know that some of the world's best and most beautiful beaches are to be found in the Algarve? There are so many lovely interesting sandy beaches in the Algarve that you will find amongst them a good selection from which to enjoy your holiday. Along its 200-kilometre coastline, these beaches vary from the small sheltered coves to broad endless stretches of sea washed sand, and the entire coast enjoys a Mediterranean-style microclimate with temperatures that vary from 15º C in winter through to 30º C in summer... Hardly surprising then that the region is a favourite for sun-seekers coming from the most diverse locations. As you travel from east to west along the coast, the beaches tend to become more subject to seasonal currents. As some excellent beaches are not immediately accessible from the holiday towns, and because it's difficult to choose one from among approximately 150 named beaches, I'm going to give you a list of the Top 10 Algarve Beaches first and then I will leave the rest for you to discover. The beaches between Sagres and Portimão, are part of the Western Algarve. 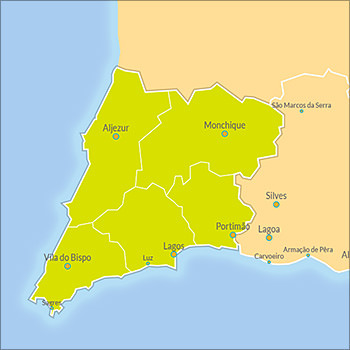 Beaches between Lagoa and Faro, are located in the Central Algarve region. 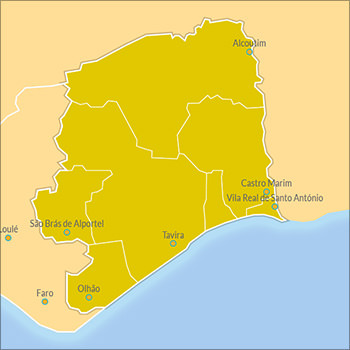 Beaches located between Vila Real de Santo António and Faro. With an extensive coast, where all the beaches have white sand, a long summer, and many hours of sunshine distributed throughout the year, the Algarve is a mandatory beach destination for your summer vacations. 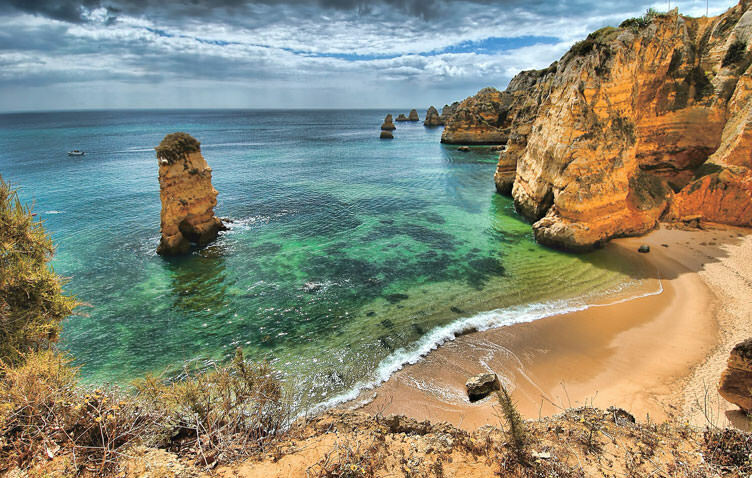 The Algarve coast counts with a total of 88 Blue Flag beaches. Assuming you'd spend at least one day in each beach (and not going to non-blue flag beaches), you'd have to spend at least 3 months of vacation time just to check them all. 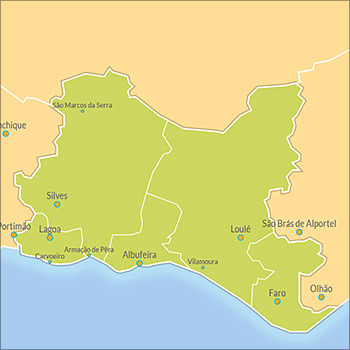 In the map above, only major beaches (blue markers) are visible. If you want to see all listed beaches (green markers), click the drawer icon in the Google Map top bar, and enable the hidden layers.